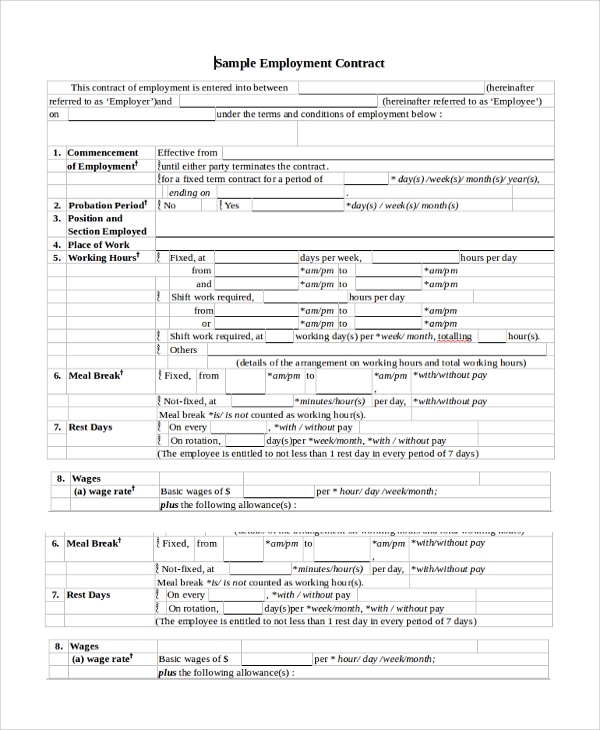 Everything related to employment from the wage to the monthly payment time, and then about holidays, leave policies, maternity and paternity benefits and leaves, termination terms etc, are mentioned in this contract form. 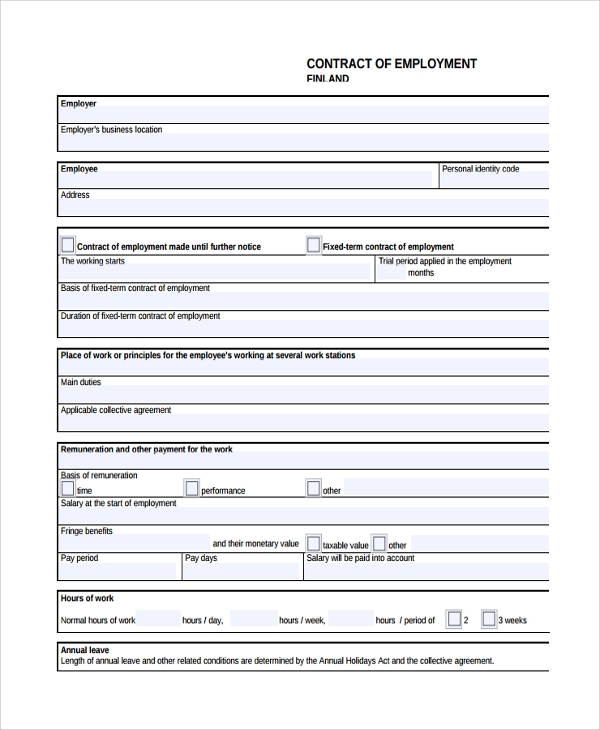 Download the same to customize and use for your company. 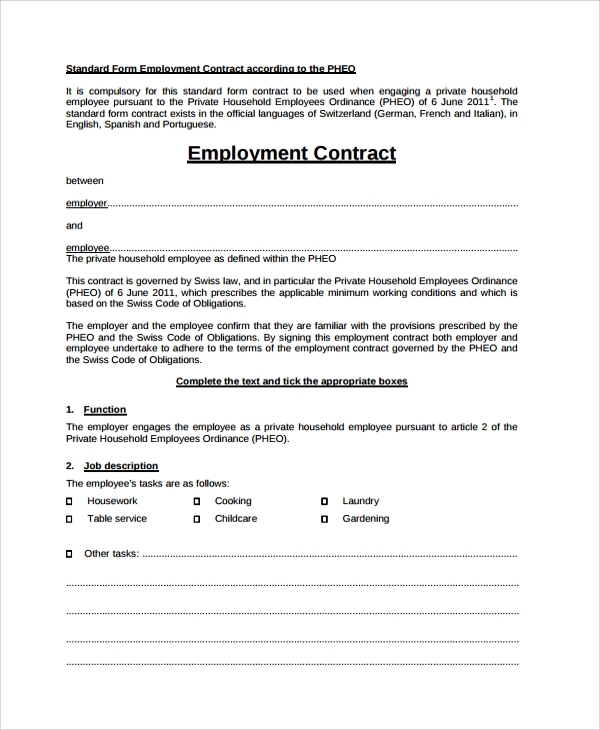 This PDF shows how the contract form in case of a free employment should be. 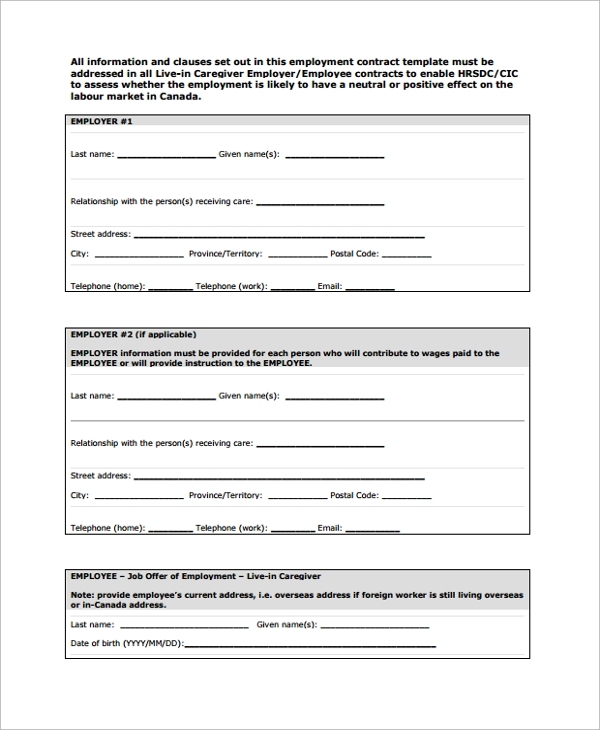 You may simply download the form, print and start using, or may change the few lines and words here and there to customize and bring it to shape. 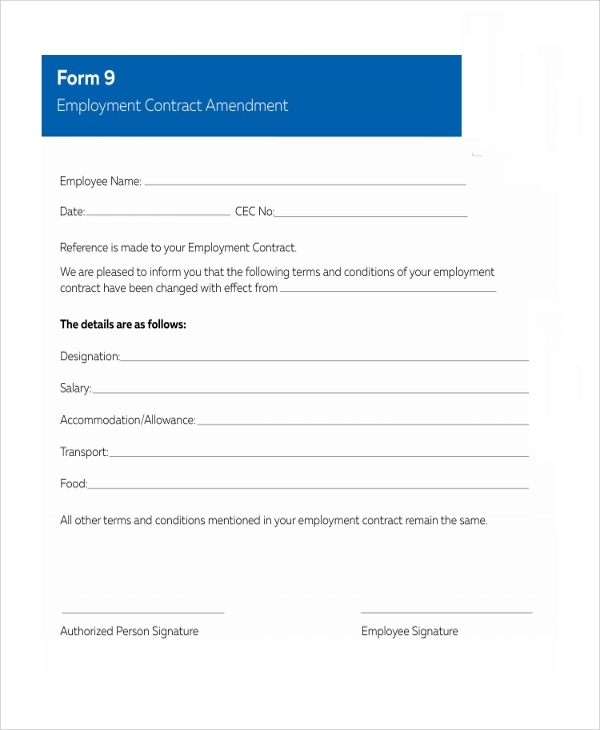 This is one good format for an employment contract and shows how the ideal contract or agreement between the employee and employer should be with all details of the job and the employee who is appointed. This is in simple word file format for easy download, customization, and printing. 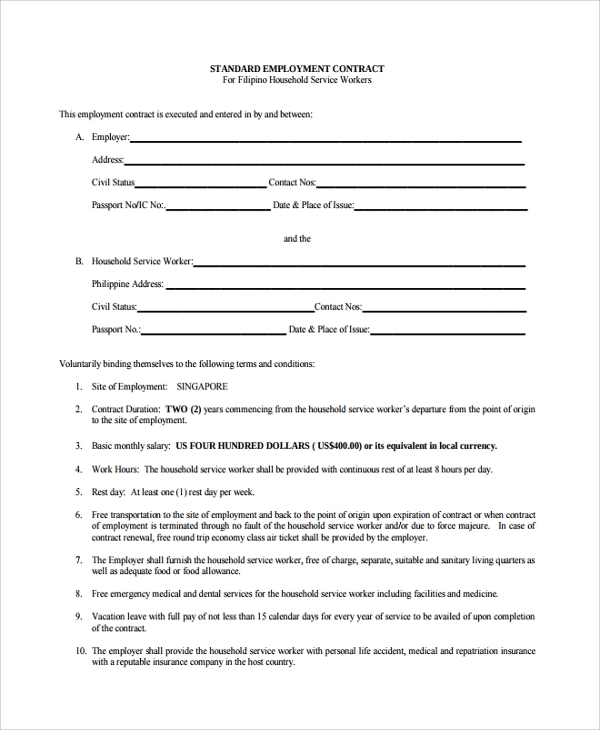 The forms described above are all important and can be used readily in the same format as shown. The files are in both PDF and word format. 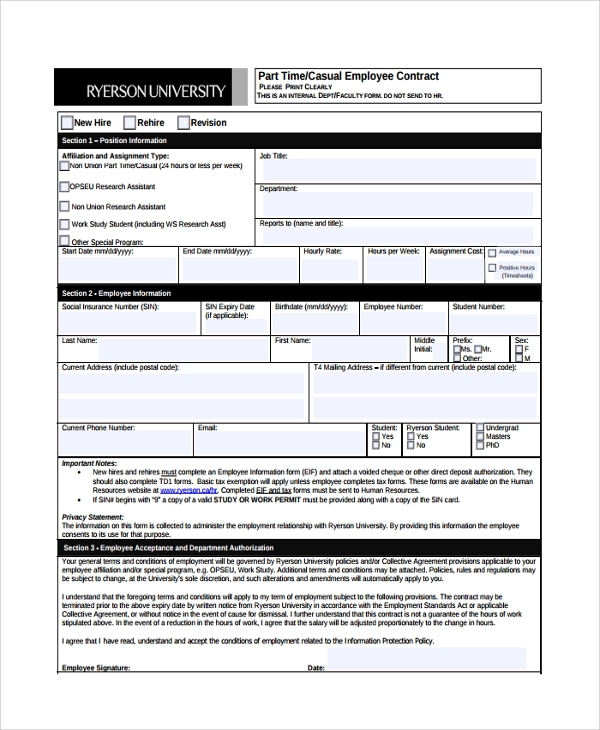 Personalizing the forms is just a task of few steps, and you get a contract totally ready for use in your office.